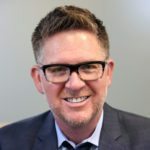 Tom Ferry is the CEO of Tom Ferry International, a Real Estate Coaching and Training Company whose mission is to hold professionals accountable to fulfill their greatness. Tom is named the #1 Real Estate Educator by Swanepoel Power 200 and is the bestselling Author of Life! By Design, and Mindset, Model and Marketing books. In his nearly 30 years of service to the industry, Tom has influenced well over half a million real estate professionals to increase their inner and outer wealth. Tom is a highly sought after and renowned speaker whose charisma and personality have captivated audiences around the world.